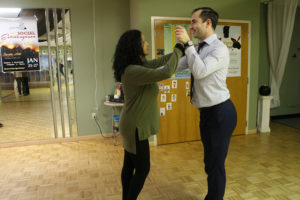 In the words of the popular American dancer, Fred Astaire, “Some people seem to think that good dancers are born, but all the good dancers I have known are taught or trained.” And that was how Andy Cabell, owner of Arthur Murray of Danbury dance studio fell in love with not only dancing, but with teaching and helping his clients to achieve their goals, which could mean losing weight, feeling more comfortable in social situations or rekindling the romance in their relationship. 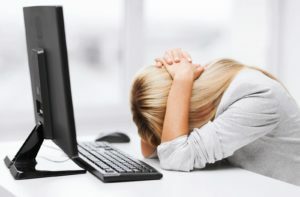 “I was about a year out of college and looking for work when I saw an ad for instructors at Arthur Murray Dance Studio. 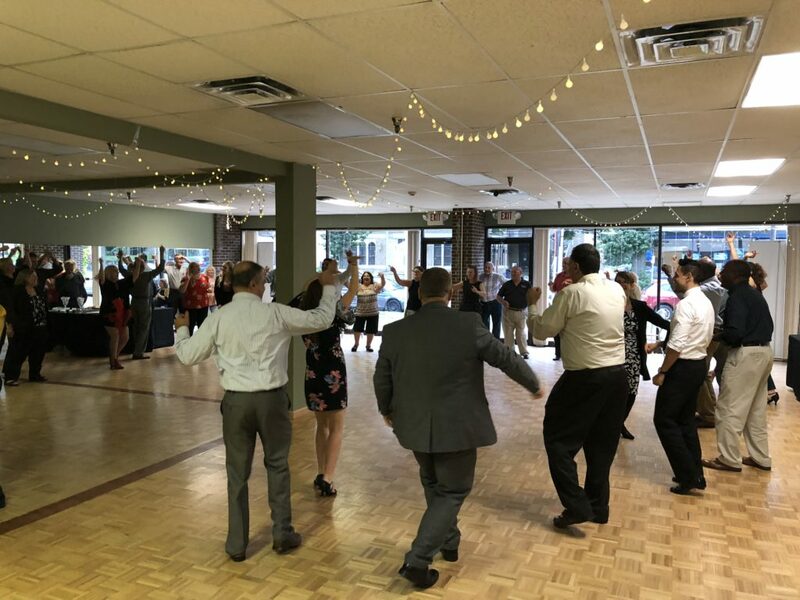 I had never done ballroom or social dancing, but the ad said, ‘no experience required’ and so I decided to put that to the test!” shared Cabell. Cabell started out working at the Manchester, NH Arthur Murray Studio for a year before moving to Danbury. 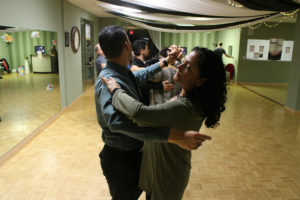 “I have been dancing at Arthur Murray Studio here in Danbury for 12 years. We love it…we enjoy it. 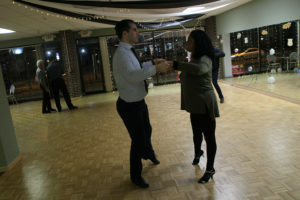 We started out just to learn some of the dance steps and we found that it brought us closer together, and it was our ‘date night,’” said Deborah Hocking with laugher. 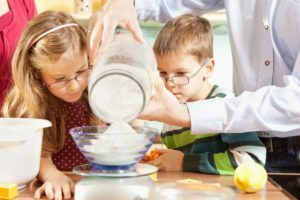 Deborah and her husband, Bryan, are both retired ant they have four children, three of which are married. The evidence-based health benefits of dancing are numerous and profound. “Physically, it is a great cardio workout, burning between 150 and 300 calories an hour, depending on the style. Not only that but learning how to move muscles that we don’t use daily has a toning effect on the calves, thighs and arms,” explained Cabell. 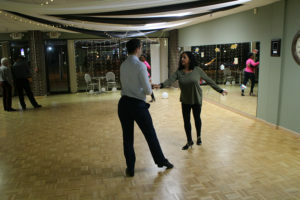 Arthur Murray Dance Studio offers a variety of programs. 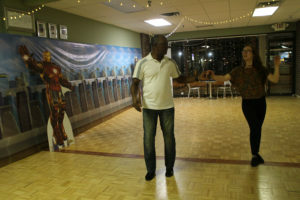 “We teach adults and juniors through a three-point system: group lessons to learn new steps and dance with different people, individual lessons to work on your own personalized curriculum with your instructor and practice parties where students come together to dance, socialize and cement what they’ve learned,” explained Cabell. Arthur Murray of Danbury is celebrating its 40th anniversary next year, and they have always been involved with the Greater Danbury community. 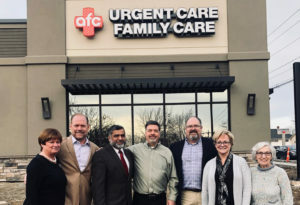 “We have worked with many local charitable organizations and are looking forward to partnering with Housatonic Habitat for Humanity, Relay for Life and Hillside Food Outreach, among others, in 2019,” said Cabell. Arthur Murray offers gift certificates for the holidays in several different denominations at https://arthurmurrayofdanbury.com/shop/ or, even better, you can stop by the studio from 1-10 pm, Monday through Friday. They are good for singles or couples, and especially for those who have never danced before. “Come out on the dance floor because, once you start moving, you forget who you are, and you feel the movement of the music and you are freer… You kind of forget yourself and just move the way God intended you to flow and dance and enjoy life,” concluded Deborah. 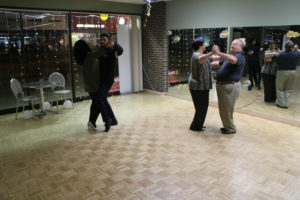 Arthur Murray has been teaching social and ballroom dancing for more than 100 years. Because of that, they have one of the best-developed and up-to-date dance curricula in the world. Teachers are not only trained dancers, but trained teachers and professionals who love to work with their clients to help them feel confident stepping onto any dance floor. The biggest difference, though, is that Arthur Murray is a social dance school. 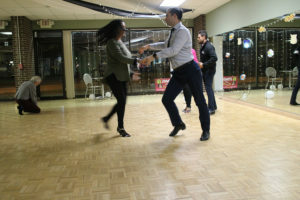 If you would like to dance the traditional ballroom dances and compete, they can help you reach that goal, too, but most of their students walk in wanting to feel comfortable at a wedding or in a salsa club and that is their specialty. For more information, please call Arthur Murray of Danbury at 203-792-0176 or visit www.arthurmurrayofdanbury.com.